'Cheaper' Health Plans Aren't Always, Once You Read The Fine Print : Shots - Health News Well-known insurers are selling new sorts of health plans outside the Affordable Care Act exchanges that may sound cheaper but aren't necessarily. Some, for example, charge extra for common surgeries. One health plan from a well-known insurer promises lower premiums — but warns that consumers may need to file their own claims and negotiate over charges from hospitals and doctors. Another does away with annual deductibles — but requires policyholders to pay extra if they need certain surgeries and procedures. Both are among the latest efforts in a seemingly endless quest by employers, consumers and insurers for an elusive goal: less expensive coverage. "Traditional health plans have not been able to stem high cost increases, so people are tearing down the model and trying something different," said Jeff Levin-Scherz, health management practice leader for benefit consultants Willis Towers Watson. Not everyone is eligible for a subsidy to defray the cost of an ACA plan, and that has led some people to experiment with new ways to pay their medical expenses. Those experiments include short-term policies or alternatives like Christian-sharing ministries — which are not insurance at all, but rather cooperatives through which members pay one another's bills. Insurers say the two new types of plans meet the ACA's rules, although they interpret those rules in new ways. For example, the new policies avoid the federal law's rule limiting consumers' annual in-network limit on out-of-pocket costs. One policy manages that by having no network — patients are free to find providers on their own. And the other skirts the issue by calling additional charges "premiums." Under ACA rules, premiums don't count toward the out-of-pocket maximum. But each plan could leave patients with huge costs in a system in which it is extremely difficult for a patient to be a smart shopper — in part, because they have little negotiating power against big hospital systems and partly because illness is often urgent and unanticipated. If these alternative plans prompt doctors and hospitals to lower prices, "then that is worth taking a closer look," says Sabrina Corlette, a research professor at Georgetown University's Health Policy Institute. "But if it's simply another flavor of shifting more risk to employees, I don't think in the long term, that's going to bend the cost curve." The North Carolina Blue Cross Blue Shield "My Choice" policies aim to change the way doctors and hospitals are paid by limiting reimbursement for services to 40 percent above what Medicare would pay. The plan has no specific network of doctors and hospitals. This approach "puts you in control to see the doctor you want," the insurer says on its website. The plan is available to individuals who buy their own insurance and to small businesses with one to 50 employees. It's aimed at consumers who cannot afford ACA plans, says Austin Vevurka, a spokesman for the insurer. The policies are not sold on the ACA's insurance marketplace, but can be purchased off-exchange from brokers. With that freedom, however, consumers also have the responsibility to shop around for providers who will accept that amount of reimbursement for their services. Consumers who don't shop — or can't because their medical need is an emergency — may get "balance-billed" by providers who are unsatisfied with the flat amount the plan pays. "There's an incentive to comparison-shop to find a provider who accepts the benefit," says Vevurka. "There are a lot of people for whom a plan like this would present financial risk," says Levin-Scherz. In theory, though, paying 40 percent above Medicare rates could help drive down costs over time if enough providers accept those payments. That's because hospitals currently get about double Medicare rates through their negotiations with insurers. "It's a bold move," says Mark Hall, director of the health law and policy program at Wake Forest University in North Carolina. Still, he says, it's "not an optimal way" because patients generally don't want to negotiate with their doctor on prices. "But it's an innovative way to put matters into the hands of patients as consumers," Hall says. "Let them deal directly with providers who insist on charging more than 140 percent of Medicare." Blue Cross spokesman Vevurka says My Choice has telephone advisers to help patients find providers and offer tips on how to negotiate a balance bill. He would not disclose enrollment numbers for My Choice, which launched Jan. 1, nor would he say how many providers have indicated they will accept the plan's payment levels. Still, the idea — based on what is sometimes called "reference pricing" or "Medicare plus" — is gaining attention. Under that method, hospitals are paid a rate based on what Medicare pays, plus an additional percentage to allow them a modest profit. North Carolina's state treasurer, for example, hopes to put state workers into such a pricing plan by next year, offering to pay 177 percent of Medicare. The plan has ignited a firestorm of opposition from hospitals in the state. 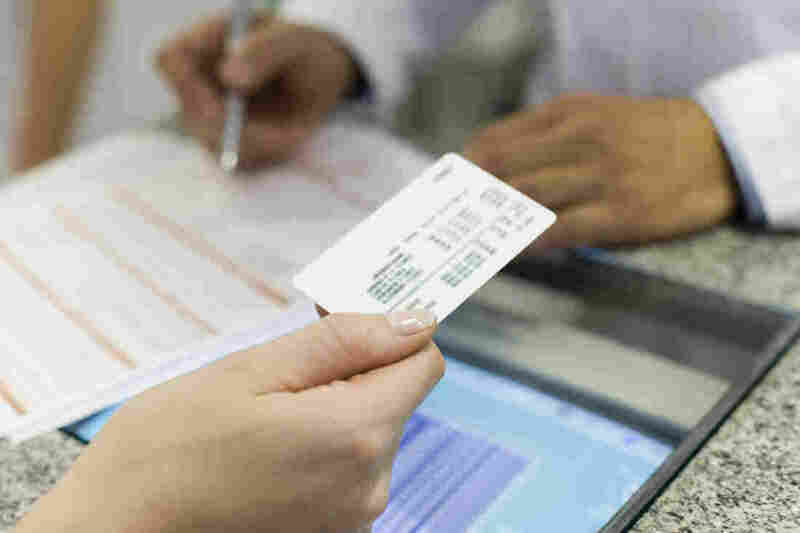 Partly because of concerns about balance-billing, employers aren't rushing to buy into Medicare-plus pricing just yet, says Jeff Long, a health care actuary at Lockton Companies, a benefit consultancy. Hospitals might agree to participate in a few such programs, but "if there's more takeup on this, I see hospitals possibly starting to fight back," Long says. Minnesota startup Bind Benefits eliminates annual deductibles in its "on-demand" plans sold to employers that are opting to self-insure their workers' health costs. Rather than deductibles, patients pay flat-dollar copayments for a core set of medical services, from doctor visits to prescription drugs. In some ways, it's simpler: There is no need to spend through the deductible before coverage kicks in or wonder what 20 percent of the cost of a doctor visit or surgery would be. But not all services are included. "People are used to that concept, to buy what they need," said Bind CEO Tony Miller. "When I need more, I buy more." According to a company spokeswoman, the add-in costs vary by market, procedure and provider. On the lower end, the cost for tonsillectomy and adenoidectomy ranges from $900 to $3,000, while lumbar spine fusion could range from $5,000 to $10,000. The ACA's 2019 out-of-pocket maximums — $7,900 for an individual or $15,800 for a family — don't include premium costs. The Cumberland School District in Wisconsin switched from a traditional plan, which it purchased from an insurer for about $1.7 million last year, to Bind. Six months in, according to the school district's superintendent, Barry Rose, the plan is working well. Right off the bat, he says, the district saved about $200,000. More savings could come over the year if workers choose lower-cost alternatives for the "add-in" services. "They can become better consumers because they can see exactly what they're paying for care," Rose says. What happens, he asks, if a worker has an add-in surgery, owes several thousand dollars, then changes jobs before paying all the premiums for that add-in coverage? "Will the employee be sent a bill after leaving?" he wonders.